Silver Noodle Prawns. The silver noodles are made from mung beans. Mung Beans noodles are the best for you because they are made from mung beans (see photos below). I love mung beans, and bean sprouts so much that I've tried growing them. If you're curious about how to grow mung beans in your kitchen, it is very easy and extremely convenient. When the weather is nasty and you don't want to go outside, you can plug fresh mung bean right from your kitchen. The mung beans grow that fast. But this post is about silver noodles, so we should get back to it. I believe the way that this dish is done here is the lazy way. 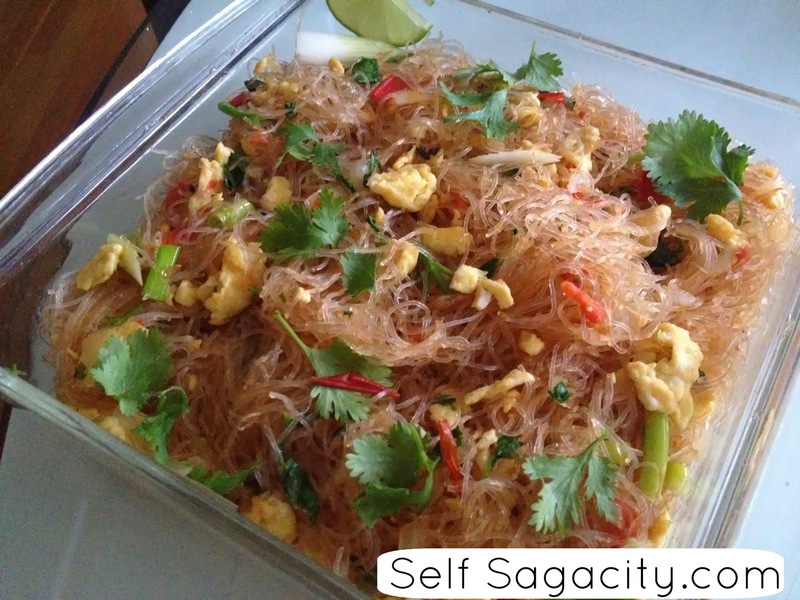 There is another way you can make this silver noodle dish, and it is called Pad Woon Sen. simply delicious - my mouth water when I think about it. Through experience, I've found that when I tried doing a large quantity - it never comes out looking right. The maximum that I can cook is 6 little bundles. But if you're interested in making this deliciously HEALTHY noodle dish, please follow the directions on my Vietnamese / Thai Mien Xao Silver Noodle Recipe. This is my favorite dish at the Thai restaurant. When done right, it's very tasty. I can not order another dish when going to my favorite Thai restaurant.